When in the presence of the paintings of Mark Rothko one becomes consumed in space, light and indefinable presences. This is what he called "the numinous" (transcendence and floating). Listening to the subtle and reverent worlds of solitude created by Morton Feldman could be referred to as the same notion. "Rothko Chapel" was first performed in 1972 at the Rothko Chapel in Houston, built in 1971 to house the fourteen paintings commissioned by John and Dominique de Menil. The Menils then asked Feldman to write a piece for the painter, who had died in 1970. Feldman had been a friend of Rothko's and one can hear in the music. 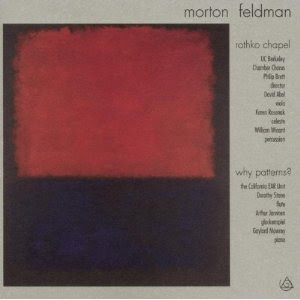 Feldman says, in the notes accompanying this recording, that "Rothko's imagery goes right to the edge of his canvas, and I wanted the same effect in the music -- that it should permeate the whole octagonal-shaped room and not be heard from a certain distance." Feldman's music echoes the simplicity of Rothko's imagery. Both are definitively mid-century American avant-garde, from what is the most fertile period in U.S. artistic history, and both are unique but somehow there is a great deal more there than just paintings or a piece of music. This is gorgeous composition that incorporates sound as equally important as the music. 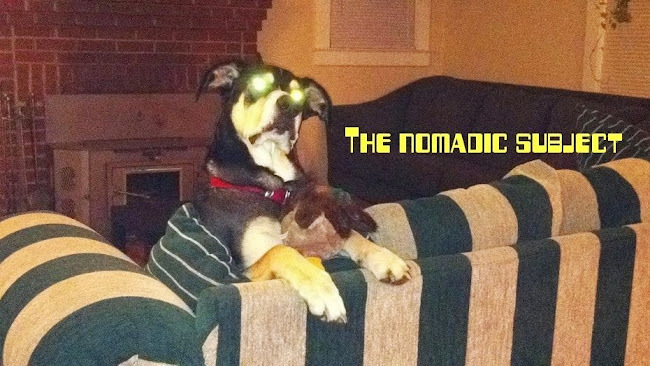 Droning lines of minimal instrumentation and intermittently placed haunting choral vocals. "Why Patterns?" is an half hour piece that demonstrates a use of musical lines. One Its a trio consisting of flute, glockenspiel and piano. There are three series of patterns for each instrument, that are never actually synchronized and only begin to work together toward the end of the piece. The musicians are representative of the best ensemble playing and emanate the brilliant and ethereal virtues of one of the greatest American composers. Feldman's work is tuly moving and enlightening. thanks for posting this! i can't seem to unpack it though, it seems that there isn't a file extension.